Port Elizabeth has some of the best sardine run sightings along the coast, where thousands of dolphins can be seen chasing shoals of fish into tight bait balls, which results in a feeding frenzy attracting penguins, sharks, whales, seals, game fish and sea birds. This incredible phenomenon is famous with photographers, divers & adventure seekers from around the globe. Port Elizabeth is also characterized by colourful soft corals and the concentration and diversity of marine species is unbelievable. Sightings of whales, dolphins, seals and jackass penguins are common. Snorkeling is ideal, as the sardine bait balls often move quite fast and with snorkel gear it is easy to gain quick entry and exit on the boat. This also allows the boat to keep up with the action.  If a bait ball is big enough and static there will be the opportunity to enter the water with scuba and observe the action from below. If conditions allow there will be opportunities to snorkel with Penguins which is a unique experience only possible in Port Elizabeth. The flight school which is based in Port Elizabeth assists us with aerial location information. Used in combination with local spotters, fishermen and ocean users we are able to pinpoint the best Sardine Run action. 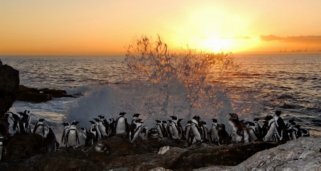 What makes Port Elizabeth unique is that not only is it home to the largest breeding colony of African Penguins & Cape Gannet’s in the world, but is also on the migratory route of numerous whales and dolphins. There are a variety of excellent dive sites in the bay (home to Ragged Tooth Sharks), adding great value to your Sardine Run experience. 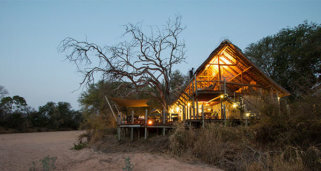 Besides the rich marine life, there are a fine collection of Big 5 Game Reserves including Addo Elephant National Park, located nearby offering Malaria free game viewing. 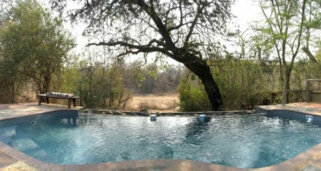 Numerous untouched beaches, hotels, restaurants and other attractions in the area embraces the complete South African experience. 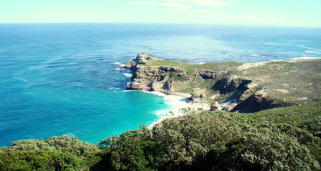 Day 1: Arrive in Port Elizabeth and transfer to your hotel. Meet up in the late afternoon for a full expedition briefing and to meet the crew. Day 2 – 6: Spend 5 days out at sea looking for Sardine Run action. After breakfast transfer to the launch site where you will kit up, load the boat (8m semi-rigid RIB) and prepare for a full day out at sea. Refreshments and lunch are provided on the boat.We use a combination of aerial information, local spotters, fishermen & ocean users in the area to locate information regarding Sardine Run action. During the day, there will be opportunity to enjoy a dive on one of the numerous dive sites in the hope to see the Ragged Tooth sharks and other marine life. Return at approx. 3pm and transfer back to the hotel enjoying the beachfront or taking part in optional activities e.g. additional diving, kayaking, cultural activities, shopping etc. 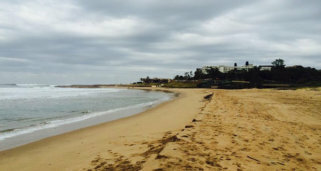 Beach Walk & Picnic: Weather depending we will have sundowners and snacks on the beach enjoying a spectacular South African sunset. Day 7: Check out of your hotel and transfer to the airport for your flight home or sign up for one of our extensions such as Cape Town to see the Great White Sharks or Shark Diving in Aliwal Shoal. 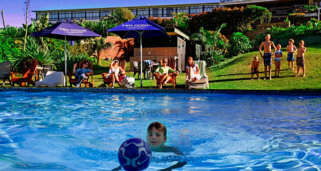 Enjoy your stay in Port Elizabeth at the wonderfully located Courtyard hotel, situated on the beachfront within walking distance to many shops and restaurants as well as most importantly to the dive center. On non-diving days group transfers will be provided for local excursions e.g. 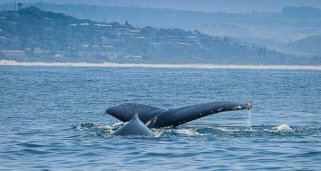 Addo Elephant National Park, Seal Diving in Plettenberg Bay, visit to Tsitsikamma National Park, Sundays River Sandboarding and River Cruises etc. All entrance fees and other costs related to the activities will be for the clients account. 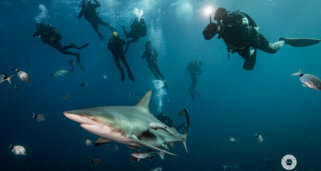 Spend a few days in Aliwal Shoal, one of South Africa’s premier dive spots where sightings of Ragged Tooth sharks are common and the possibility of other large pelagics such as, sea turtles, potato bass and numerous game fish can be seen. Extremely popular with divers is the baited shark dive where you will be surrounded by anything from 20 – 80 bold Oceanic Black Tip sharks and might even have other species such as Tiger or Bull sharks come close. 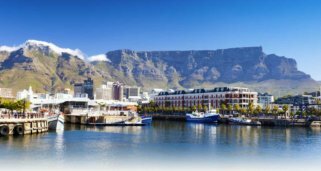 A visit to South Africa would not be complete without a stop in Cape Town – the “Mother City”, known to many as one of the most beautiful cities in the world. 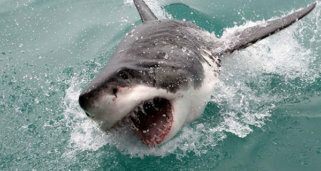 An awesome 4 night extension that can be added on to any of the standard South African packages where you will get to experience Great White Shark Cage Diving, Penguins & the scenic beauty that Cape Town has to offer. Tailor made packages are also available. Free Day for sightseeing, visit to Robben Island, shopping etc. 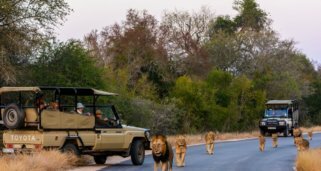 The Kruger National Park is world famous for the Big 5, travelers from all over the globe come to pay a visit to one of our national parks to tick the box for this bucket list destination. 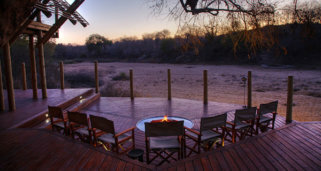 Our country works very hard at preserving its wildlife, and we work with renowned safari lodges and suppliers to ensure your holiday will be one that will never be forgotten. Please contact our travel department on info@prodivetravel.co.za. We can then finalize all the necessary details that we need in order to book you onto this amazing opportunity to see the Sardine Run.